Analysts have long speculated General Motors will launch an IPO for its Cruise Automation subsidiary, but CEO Dan Ammann’s compensation plan is the clearest evidence yet for such a move. 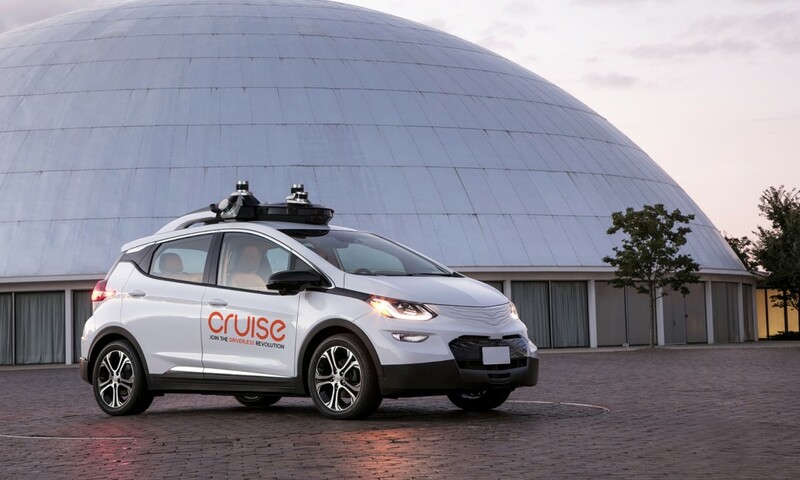 Reuters reported last Wednesday that Ammann’s incentives plan includes hundreds of thousands of shares in Cruise should he meet specific goals at the self-driving car unit. According to a document GM filed with the SEC, Ammann could make $25 million based on the stock available to him. Right now, it estimates one share is worth $1,515. He was awarded 16,914 restricted stock units for common shares of Cruise and another 101,485 common shares of Cruise by the board. GM hasn’t explicitly said it plans to spin Cruise off from the automaker, but the incentive plan all but spills the direction the automaker plans to go. Ammann is to receive the stock grants within a 10-year period if he meets targets such as an IPO for the unit in the next 10 years. The executive stepped into the CEO role and replaced Kyle Vogt, one of Cruise Automation’s founders. GM purchased the company in 2016 for over $1 billion. The firm has quickly allowed the automaker to rival Google’s Waymo subsidiary and Cruise is considered one of the leading firms for self-driving car technology. The goal remains to launch a self-driving car ride-hailing service by the end of 2019 in an unspecified location. However, some reports have said nothing is currently on time within the halls of Cruise. As it stands, Cruise is valued around $14.6 billion after significant investment from two Japanese companies: SoftBank and Honda. SoftBank invested $2.25 billion into the self-driving car firm last year, which it will pay out in installments as the unit reaches various milestones. Honda followed later last year with a $2 billion investment that it will pay out over 12 years. The Japanese automaker also said it would join the firm in developing a purpose-built self-driving vehicle. GM, like Toyota and some of the other car manufacturers, intend to transition to being mobility companies. As such, this indicates that Cruise will be a core part of the future GM. They will spin it off, because then they can free themselves of their obligations to the UAW contract.